It's looking more and more like Jalen Hurts will be reuniting with former Alabama offensive coordinator Mike Locksley. BetOnline's latest odds have Maryland as a heavy favorite to land Hurts, perhaps the most coveted transfer in the nation. 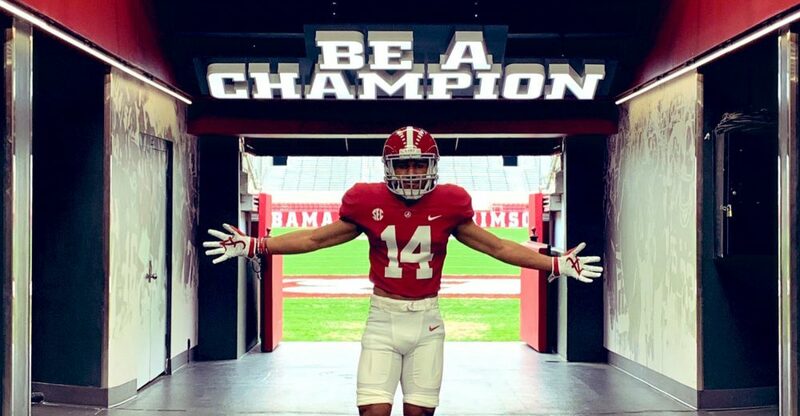 Hurts will be immediately eligible to play in 2019 because he has completed his undergraduate degree at Alabama and will be enrolled as a graduate student at his next university. Locksley, 49, was named Maryland's head coach in December. He served as the Tide's offensive coordinator the last two seasons and was an offensive assistant in 2016. BetOnline has Miami as the second favorite at plus-400, while TCU (+500), Houston (+1000) and Auburn (+1000) are also listed among the contenders. Oklahoma is not listed by BetOnline despite Hurts visiting the school. The through line to Maryland here is pretty easy. Hurts only has one year of eligibility remaining, and he'll walk into a system at Maryland where he's already familiar. The only adjustment will be the talent gap between Alabama and Maryland's skill-position players. Hurts is listed at 9-1 to win the Heisman, so it's pretty clear BetOnline feels he'll succeed wherever he lands.